I just do not understand, if anyone just want to trade, do it on a better company. Just would like to highlight some of the things as I guess my blog probably would be informative enough on the fundamentals of investing. 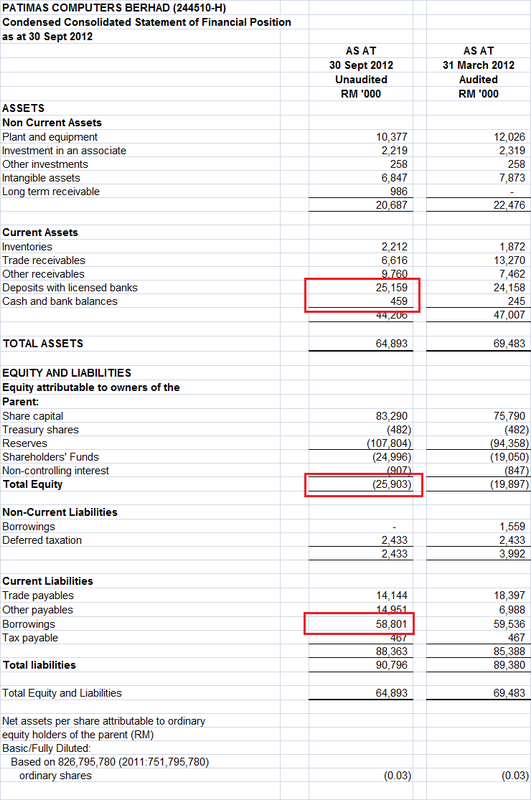 Balance sheet, cashflow, liquidity are the keywords. If you think that it has enough cash of RM25 million, just look below. It is pledged. 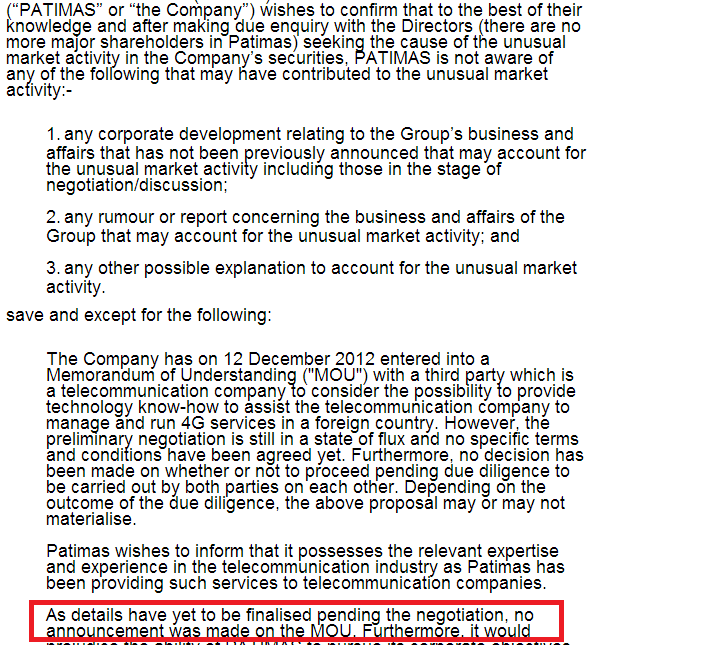 Its announcement to Bursa yesterday. I suggest readers to read my article - The confession of a stockist. It is not related but perhaps some can get an idea on some things. Or could it be there are things I do not know that many know. 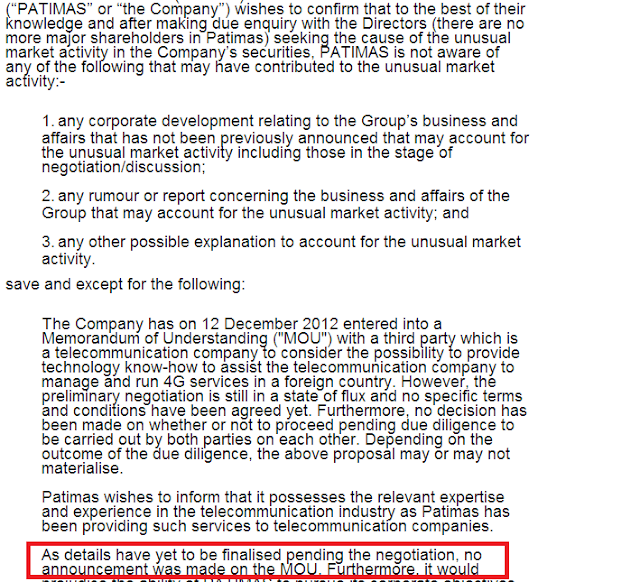 Today Patimas is trading at value of RM100 million! the anchovies think they can hitch a ride along with the sharkies..but they don't know where the road is going to.. This is the action of the greater fools theory at its height. Too bad there's no opportunity to short these type of counters, will surely make these manipulators cry.